#839 Amazing supplement for beauty. Today I’d like to share a wonderful supplement to you. 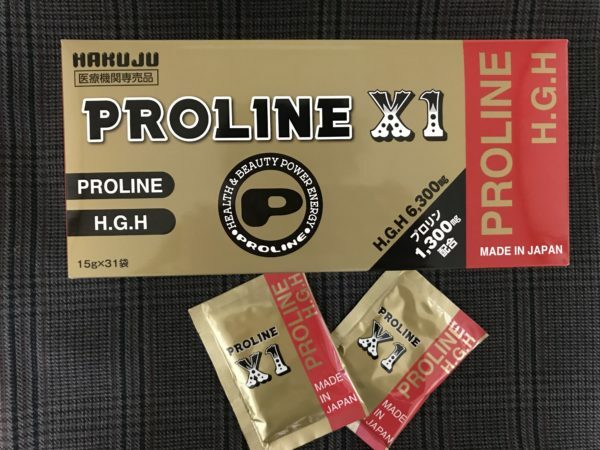 It is called “PROLINE X1” which helps to improve the health and beauty. I have tried taking it and it makes my skin looks younger than before. I usually take it before going to bed because it recommended. Each time after I take it, the next morning I feel I have a moist, smooth and firm skin. I’m sure that my face become healthier and no side effect. It’s like magic! The supplement is powder kind that contained proline 1300 mg which is one of the amino acid. It comes in a box package with 31 packs for 12,500 yen. Since the price is expensive for me, I only take it when I’m so tired and my facial skin is sagging. Trust me! You will like it! This product is medical organization exclusive merchandise, if you are interested in it, you can only purchase it at some certain medical agencies.